Ainhoa has a Bachelor’s degree in Architectural Studies and a Master of Architecture from the Polytechnic University of Catalonia with a Major in Refurbishment. Having a real interest in the relation between architecture, design, culture and history, Ainhoa has travelled around Europe taking part in different workshops. These workshops included, but was not limited to, a collaboration with the Polytechnic University of Milano where she worked in a Urbanistic proposal for the re-vitalisation of the city centre of Piacenza (Italy), and another collaboration with the University of Fine Arts of Copenhagen where she carried out a study about Social Housing and the importance of common spaces for the success of the community. During Ainhoa’s studies, she took part in different competitions and co-creation projects such as the re-designing of a Primary School in L’Alzinar (Barcelona) and the refurbishment and transformation of the Industrial Factory ‘Ivanow” in an artistic community centre. She undertook a specialisation in building refurbishment as she was interested in the social implications of the architecture. Ainhoa has a keen interest in mixing the past and the future in her designs. She understands not only the importance of the historic value of existing buildings, but also the advantage of utilising its existing qualities to redevelop as an adaptive reuse. She is interested in the investigation process of finding the potential in their different ways of future occupations. Ainhoa has been actively involved in the design process of different projects; producing mood board presentations and 3D images, and selecting and managing FF&E and materials finishes schedules. She is currently working on the refurbishment of aged care facilities where she has performed existing site condition audits, which included site measurements, furniture audits and architectural conditions reports. These projects require working with the BCA and DDA requirements while exploring and proposing new possibilities for existing spaces. She has also worked in town planning documentation, reviewed shop drawings, and undertook Contract Administration. 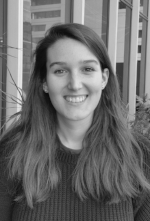 Ainhoa has contributed her design process skills to a variety of University, Aged Care, and Health projects. She has proven herself to be a valuable member of the team.